Emmanuel Yamoah is a young change leader with a passion for civic engagements especially through youth empowerment. Whiles studying for his first degree, he founded the Patriots Ghana Kwame Nkrumah University of Science and Technology chapter. Through his innovative leadership, the chapter contributed towards providing the people of Yamoah Nkwanta with potable water (borehole), establishing an ICT center in Aboabogya, providing sustainable support for the Deduako Special Vocational School for intellectual disabilities, etc. He is a passionate Nkrumanist, and his utmost dream is that every Ghanaian youth would be conscious of our power when we stand together and defy all odds to be actively involved in economic, political, and socio-cultural development of Ghana and Africa. Owning to his leadership qualities, avidity and experience in volunteering, He was recruited in the Danish Youth Council Leadership program. In a training at Denmark, He successfully completed a course in International Project Management and upon return to Ghana, with other youth leaders on the My Right My Future project. He served as a Campaign Ambassador and Acting Team Leader of the WeParticpate Project through YALI TechCamp of the U.S Department of State. He led efforts to educate over 2,532 in educational institutions, 30,000 people online and participated roundtable discussion with U.S. Assistant Secretary, Linda Thomas Greenfield about Ghana’s Elections. Emmanuel has been a Global Youth Ambassador (GYA) of A World at School since 2015. He’s great at working with young people and proved to be an excellent teacher during his mandatory one year service at AME Zion Girls Senior High School. He is also the founder and Director of Africa Online Volunteering Service, with the goal of providing a youth friendly structure that uses innovative approaches to use ICT’s as a powerful tool for personal and social development. 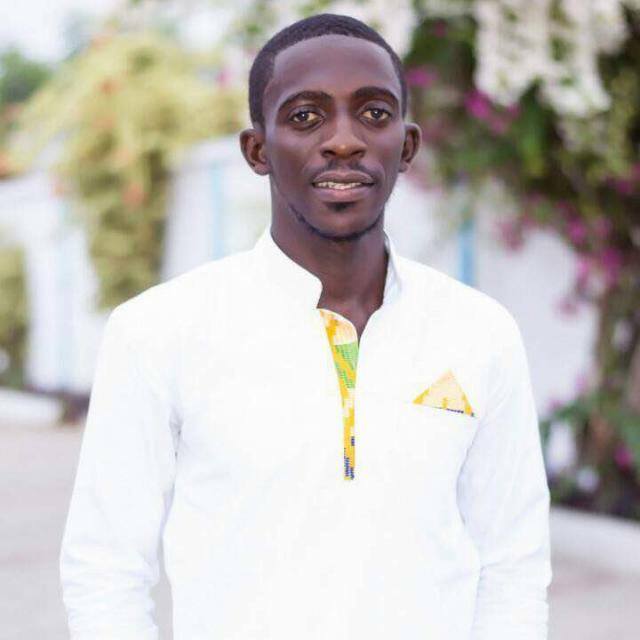 Emmanuel holds a Bachelor’s Degree in Sociology and Social Work from the Kwame Nkrumah University of science Technology and is currently a student at the Institute of Human Resource Management Practitioners (IHRMP). He is a self-motivated learner and as such holds various certificates from institutions such as United States Institute of Peace, International Labour Organization, IRC International Water Sanitation Center, the World Bank Institute, among others. He looks forward to being one of the greatest youth influencers in Ghana, motivating young people to take up projects to develop their community, whiles developing themselves.